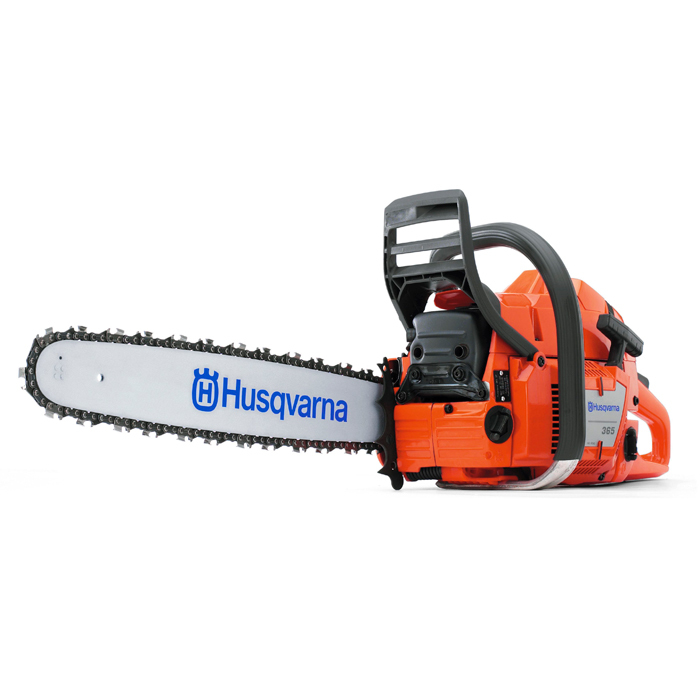 The Husqvarna 365 18" Chainsaw is the ultimate workhorse chainsaw in the Husqvarna range, offering a wide range of bar sizes, a resiliant casing and rugged design. It is ideal for heavy industrial use, agricultural use and grounds mainteneance work. It is also great for harvesting larger firewood. It is built using an all-magnesium crankcase and 3-peice forged crankshaft ideal for prolonged use. Side mounted chain tensioner and retained bar nuts allow for easy chain adjusting and sharpening. It also has a high powered X-Torq engine for increased torque and lower fuel emissions. Air Injection - Centrifugal air cleaning system for reduced wear and longer operating time between filter cleanings. X-Torq® - Deliver lower fuel consumption and reduced exhaust emission levels in accordance with the world´s most stringent environmental regulations. LowVib® - Effective anti-vibration dampeners absorb vibration, sparing the user's arms and hands. Inertia chain brake - Effective inertia-activated chain brake. Side-mounted chain tensioner - Side-mounted chain tensioner makes chain adjustment quick and easy. Adjustable oil pump - Adjustable oil pump makes it easy to set the chain lubrication according to your needs. Air filter cover - Quick release cover saves time when cleaning or changing spark plug. 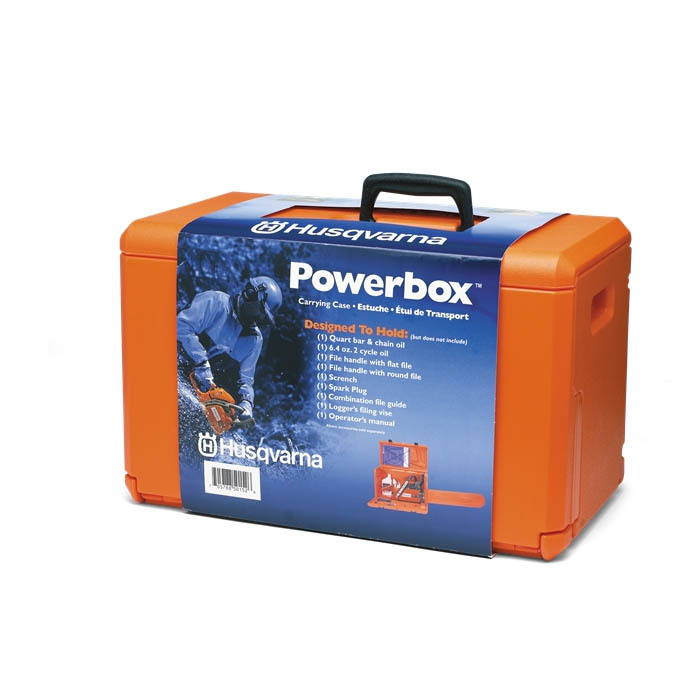 The Husqvarna Chainsaw Box is a sturdy carry case designed to carry a chainsaw, lubricants and other accesories. Convinient slot to slide the bar and scabbard out of one end so that you don't have to dismantle a machine. 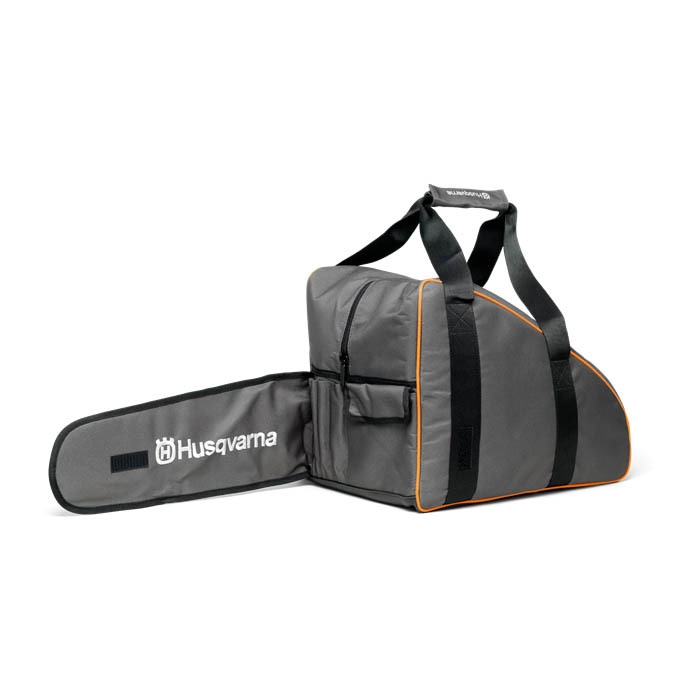 The Husqvarna Chainsaw Bag is a strong, durable bag made for protective storage and transport of your chainsaw. It features smaller pockets for storing files and other accessories.